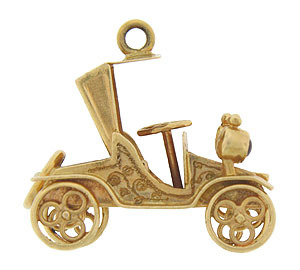 This spectacular 18K yellow gold Model "T" charm is so fabulous it even sports garnet stone headlights! 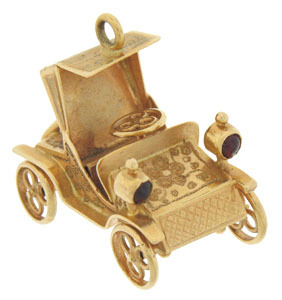 The auto boasts scalloped moving wheels, engraved crosshatching on the roof and floral decorated body. Circa: 1950. 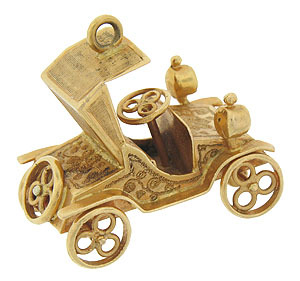 The automobile charm measures 1 1/4" long, 10/16" wide and 3/4" tall.